Sampson R. Culpepper and Sarah A. 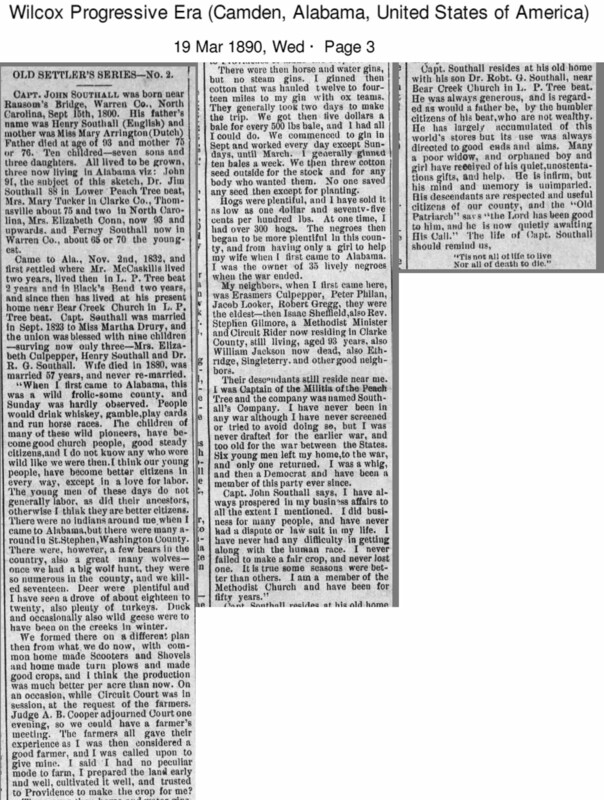 Hall on 2 Oct 1834 in Warren Co., GA.
3 Jul 1856, page 2. S. R. Culpepper, 21 slaves: 84M, 36F, 35M, 21FO, 19M, 19M, 19M, 18M, 17F, 16F, 15F, 15M, 14M, 14F, 13F, 13F, 10F, 9M, 7FO, 2M, 1M. "The next is where Mr. Elisha Culpepper, one of our oldest and best citizens, lived. His house was blown down, he was killed on the spot, and his daughter-in-law and wife were badly wounded. All of this place is a wreck. The storm seems to have been more terrific here than at any place this side of Mount Airy. Elisha Culpepper and Elizabeth Harris on 3 Dec 1835 in Warren Co., GA.
Elisha Culpepper, 8 slaves: 30M, 24F, 23M, 10M, 7F, 6M, 5M Filipino, 4M. 1840 Census 1 Jun 1840� Erasmus was probably a free white male, age 15 and under 20, in Erasmus Culpepper Jr. of Wilcox Co., AL's household, on the 1840 Census on 1 Jun 1840 at Wilcox Co., Alabama. Biography* � Erasmus Culpepper, III, the only son of Erasmus and Nancy Culpepper, was born in Nash County, NC on March 1, 1817. He came to Alabama with his parents and siblings as a young boy. 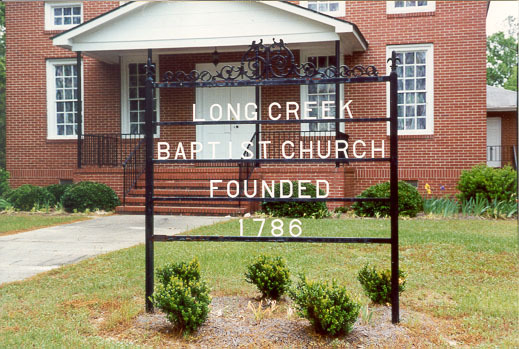 He married in Wilcox County on Sept. 12, 1787 to Rebecca Jane Southall, a daughter of John Southall. She was born in Warren County, NC on July 1, 1823 and came to Alabama with her family in the 1840's. The Southall family is another large southern family with old connections back to England. It is about this time in the Lower Peach Tree area, that you will find much intermarriage with the Culpepper, Southall, Overton, and Davis families. It is quite a feat to keep it all straight! Erasmus and Rebecca Jane were living close to her parents in the 1850 census of Wilcox County, but by 1860, they were not. The size of their estate and holdings in 1860 could indicate that they moved to the Culpepper plantation after his father's death in 1855, and took sole possession after his mother's death in 1859. Pictures of the family throughout the 1870s and 1880s show us a prosperous farming family. Erasmus Culpepper died Aug. 3, 1880 and Rebecca Jane died on March 5, 1905. Both are buried with several of their children in the Lower Peach Tree Cemetery. The family was Methodist and it has been determined that the wedding of their daughter, Estelle, on 11-10-1885, may have been one of the first performed in the Lower Peach Tree Methodist Church! The Culpepper-Davis house was just west of Lower Peach Tree, Alabama. It is believed to have been built by Erasmus Culpepper III as the family's second residence. His father, Erasmus II migrated first to Clarke County, but by 1850, had settled more permanently in Wilcox County in the Culpepper, AL area. Erasmus died in 1855 and his wife, Nancy, soon after in 1859. Their son, Erasmus, married by this time to Rebecca Jane, had started a family. The Culpepper-Davis house dates back to the Civil War and it was more than likely built by this young Culpepper family. Some wonder why the Culpepper family, with their wealth, did not have a more impressive home, possibly in the style of other southern mansions. The Culpeppers were farmers and Methodists so a certain amount of plainness was expected. If the date of its construction is true then the days of southern opulence and grandeur were at an end. The house is of early Alabama folk architecture and typical for its time. There were oak trees lining the drive at one time, but only one is left now. East of where the house used to sit is a pond. The outbuildings were torn down over the years, as well as the separate kitchen and a wing off the west side of the house. 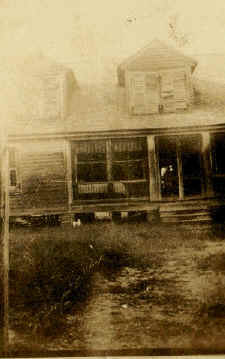 The house was abandoned in 1935 after the death of Leila Culpepper Davis. It was used for hay storage for many years. Eventually the house and land were sold to Tom and Brownie Williams. The house was sold in 1977 to Jan and Maud Garrick, later dismantled, and some of the lumber was used by the Garricks in their homes and at Lake Waukaway in Mississippi. Gerry Garrick shares: "Memories of the old house and our ancestors who lived there are kept alive through some of the boards saved from the old house that we were able to use when we built our home in Birmingham in 1980. We used some of the heart-of-pine wall boards as flooring in our entry hall. We always enjoy telling visitors about the origin of the wood from the old family house in Wilcox County." The old Culpepper plantation in Wilcox County, Alabama, built prior to the Civil War. Photo circa 1923. Baalam Culpepper and his wife Temperance, moved into Stewart Co., Tennessee, around 1815. Some of the pioneer families were already there. In fact, some of them had been there since Stewart County was formed in 1803. Like many other families, the Culpeppers moved across the river into Henry County shortly after the Jackson Purchase, which made it legal for white men to live there. They moved into what later became known as the "Old 23rd" district. Some of the Culpeppers wound up in Benton County because they were living on land that was used to form Benton County in 1836. The Culpeppers were in the 'Old 23rd" during the years that family feuds caused a lot of bloodshed, but they never seemed to have been involved in it. By and large, they were industrious, hard-working farmers. They seemed to have believed in the doctrine of "live and let live" and seemed to have always been on friendly terms with everyone. Baalam's parentage has not been conclusively established. But all evidence suggests that he was the son of John Culpepper and Barsheba Wright, of Nash County, NC. For instance, Baalam was a buyer at John's estate sale. And John had a neighbor in Nash County named Baalam, for whom he might have named this son. Baalam was in the 1820 census of Stewart County, TN. But he does not appear in any of the published deed records from early Stewart County. Perhaps he did not stay there very long. And there are no early marriage records in Stewart County, so if he married there, that record has been lost. The early marriage records in Henry County, TN are also lost. It would appear that his first two daughters, Martha Ann and Margaret, were by a currently unknown first wife. For one thing, there is a several year gap between these two early daughters and the rest of Baalam's children. Also, later on, Baalam's daughter Margaret apparently married a younger brother of Baalam's apparent second wife, Tempy. But due to loss of records in early Tennessee, this scenario cannot be proven. A second possibility, also worthy of consideration, is that Baalam only had one wife, Tempy Powell, and that she was the mother of all of his children. In this case, the old family tradition that Margaret, wife of Alanson Powell Jr., was Baalam's daughter cannot be correct. Date of marriage assumed based upon estimated date of birth of oldest daughter. Birth date assumed primartily vbased upon the age range of her children. 1840 Census* 1 Jun 1840� Alexander was listed as the head of a family on the 1840 Census on 1 Jun 1840 at Oktibbeha Co., Mississippi. Alexander Culpepper. St Stephens Meridian; Greene Co., AL; 80.31 Acres; Issue Date: 1 Sep 1831; Land Office: St. Stephens; Authority: 24 Apr 1820: Sale-Cash Entry (3 Stat. 566); Document Nr. : 2771; Accession/Serial Nr. : AL0060__.146; Aliquot Parts: E½SE; Sec./Block: 10/; Township: 20-N; Range: 1-E.
Alexander Culpepper, Oktibbeha Co., MS, 1837, 1 male, 6 females. Alexander Culpepper, Oktibbeha Co., MS, 1841, 1M>21, 3M<21, 1F>21, 2F<21. 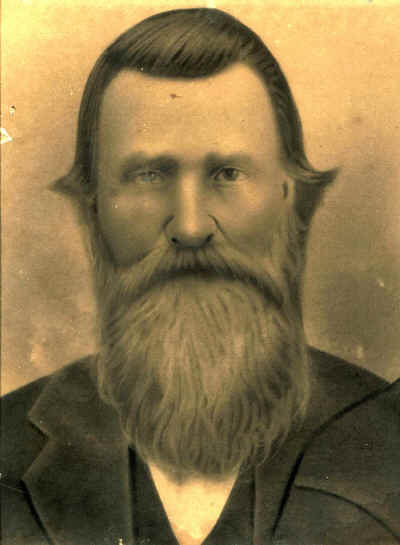 Alexander Culpepper, issued 27 Feb 1841, Choctaw Meridian, Oktibbeha Co., MS, Twp 19-N, Rng 15-E, Sec 19. 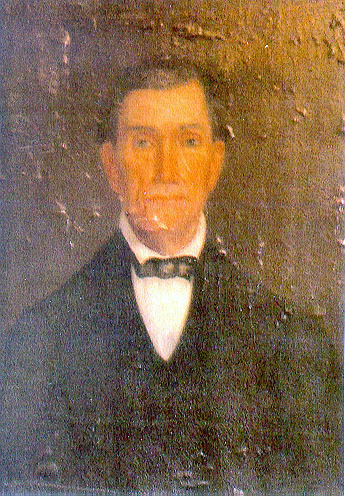 Alexander Culpepper, Oktibbeha Co., MS, 1845. 1840 Census 1 Jun 1840� Ann was probably a free white female, age 40 and under 50, in Alexander Culpepper's household, on the 1840 Census on 1 Jun 1840 at Oktibbeha Co., Mississippi. Owned 5 black males, ages 45, 22, 5, 4, and 1, and 3 black females, ages 26, 21 and 6. Nancy Culpepper: owned 10 Blacks, 56M, 37F, 35F, 19F, 12M, 12M, 11M, 9M, 6M, 5M. Ann Culpepper, Self, F, Wid, Wh, 94, Renter, NC/VA/VA. Mary Culpepper, 1 F10-15, 1 F20-30, 2 slaves. 1840 Census* 1 Jun 1840� Benjamin was listed as the head of a family on the 1840 Census on 1 Jun 1840 at Wilcox Co., Alabama. Manda P. Culpepper, 15, F, Domestic, born Clarke Co., AL. Frances A. Culpepper and Benjamin Brinkley on 3 Oct 1832 in Warren Co., GA.
1840 Census 1 Jun 1840� Sarah was probably a free white female, age 30 and under 40, in Benjamin Culpepper's household, on the 1840 Census on 1 Jun 1840 at Wilcox Co., Alabama. Benjamin Culpepper, 30, M, AL. B. W. Culpepper married Nancy S. Singleterry on 8 Jan 1851 in Clarke Co., Alabama. B. W. Culpepper married Nancy S. Singleton on 6 Jan 1851 in Clarke Co., Alabama. B. W. Culpepper married Nancy S. Singleton on 6 Jan 1850 in Clarke Co., Alabama. Benjamin W. Culpepper, Section 15, Twp 9N, Range 5E, Clarke Co., AL, St. Stephens Meridan, 79.925 acres, signed 1 Nov 1858. Affidavit in military pension application in 1903. Benj. W. Culpepper, Head, Wh, M, Nov 1812 (sic), 77, SC/SC/SC, Farmer. Marilyn Davis Barefield, Clarke County, Alabama Records, 1814-1885, Easley, SC: Southern Historical Press, 1993; page 90. FHL US/CAN Book 976.1245 V2b. E-mail written 20 Sep 2012 to Warren Culpepper from George Windes, e-mail address. 1840 Census 1 Jun 1840� Sarah was probably a free white female, under five years old, in Benjamin Culpepper's household, on the 1840 Census on 1 Jun 1840 at Wilcox Co., Alabama. Sarah M. Culpepper married Jacob Wright on 9 Aug 1860 in Clarke Co., Alabama. Sarah M. Culpepper married Jacob Wright on 6 Aug 1860 in Clarke Co., Alabama. Sarah Culpepper married Jacob Wright on 6 Aug 1860 in Clarke Co., Alabama.